This is Loving Earth's reinvention of a classic, inspired by combing the traditional blend hazelnuts and chocolate. Please Note: During the warmer months our chocolate can sometimes melt in transit. 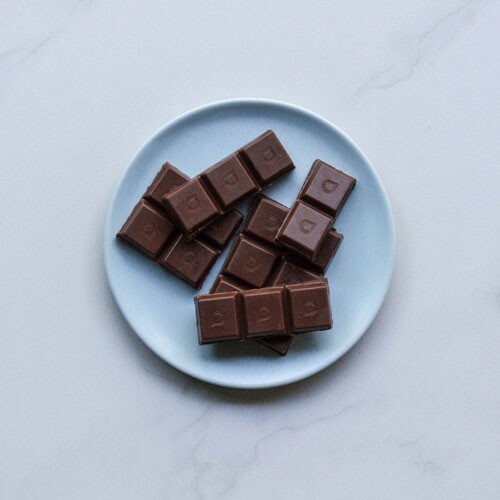 There is an increased chance of this in the case of our Hazelnut Creamy Mylk Chocolate since it includes whole coconut flesh, which contains healthy oils with a low melting point. Please click here for more info on how to best avoid this when ordering and storing your chocolate. 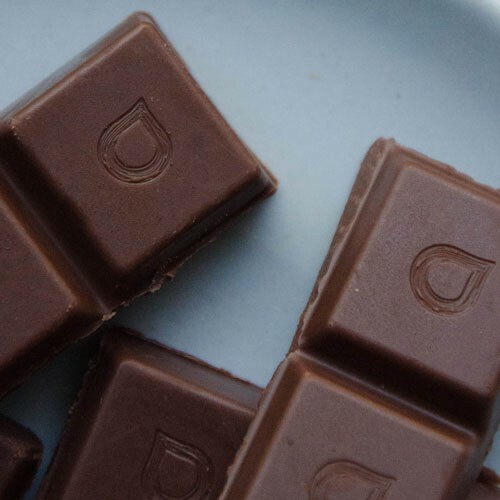 Two to three squares of our Hazelnut Mylk Chocolate makes for a luxurious and decadent experience. Hazelnut Creamy Mylk Chocolate melts at a lower temperature than our other chocolate due to its healthy coconut fat content, which has a lower melting point than Cacao Butter. Therefore, it's best to store it in the fridge to get that crunchy snap. If it melts it's still fine. In fact, some people love it that way. Research has demonstrated that the antioxidants in cacao are highly stable and easily available to human metabolism. In the adjacent table you can see that our Raw Cacao has set the world record for antioxidants when compared to the other top 10 antioxidant foods such as Goji Berries, Acai Berries, and blueberries. The ORAC (Oxygen Radical Absorbance Capacity) scale was developed by the United States Department of Agriculture to measure the ability of antioxidants to absorb free radicals, which normally cause cell and tissue damage. 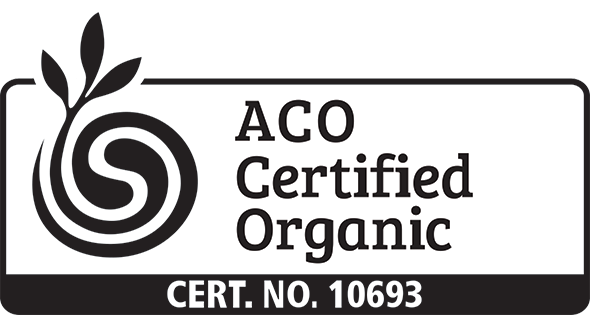 The higher the ORAC score, the higher the level of antioxidants present in the food. Raw Cacao is a good source of Magnesium. Magnesium is the most important mineral for a healthy functioning heart. It also plays a key role in producing energy for the neurons in the brain from glucose. So when there is an abundance of magnesium the brain works with clarity and focus. Our Evaporated Coconut Nectar is unfiltered and preservative free. It has a low Glycemic Index (GI) of 35. By comparison, most honeys are GI 55 and cane sugars are GI 68. The main thing that Loving Earth does differently to other chocolate makers is that we don't roast the raw cacao beans before we process them. The standard procedure in the chocolate industry is to roast raw cacao to create cocoa. At Loving Earth, we wash our raw cacao beans with a citric-based organic disinfectant to remove the microbiological matter, whilst preserving the nutrient and antioxidant properties.